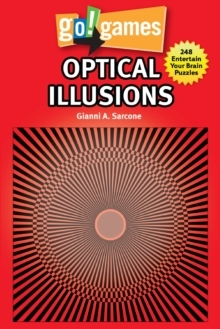 This activity and coloring book features over 50 "impossible" optical illusions to color along with, and activities that show you how to create your own optical illusions! 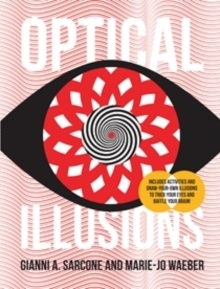 What happens when you try to color in an optical illusion? 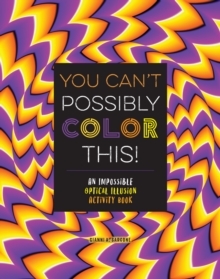 Find out with You Can't Possibly Color This!, a fascinating journey into the twisted world of illusions that will have you scratching your head as you attempt to color in objects that can't exist in real life. You'll get to discover devious devices, bizarre buildings, and intriguing animals of all shapes and sizes when you color along with these pages. Even better, you'll learn how to create impossible drawings of your own!You Can't Possibly Color This! 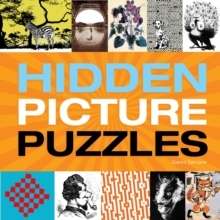 comes with more than 50 coloring activities, dozens of dot-to-dots, draw-your-own, fun facts, and other activities that will confound your brain even as they inspire you to figure out their mysteries. 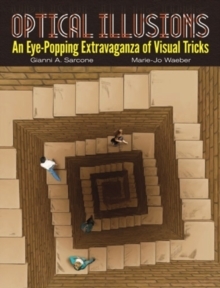 Amaze your friends with impossible pictures now!